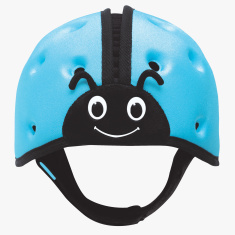 SafeheadBABY Soft Helmet - Ladybird Blue | Blue | This well planned design of SafeheadBABY ensures increased ventilation to keep your infant's head well protected yet cool and comfortable thereby reducing the chances of your baby wanting to remove it. 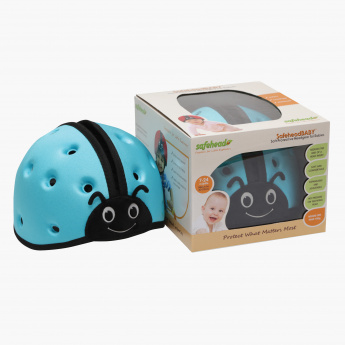 The ideal solution for active babies in and around the home. 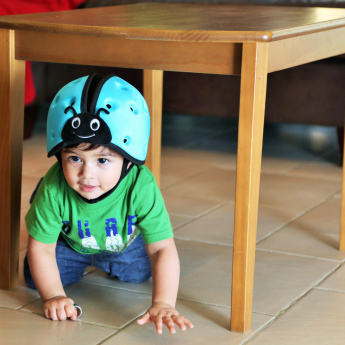 A patented and award-winning soft protective headgear designed for toddlers learning to walk to help protect them from bumps, bruises and falls from their own height when they are unsteady on their feet. This smart parenting move eliminates the need for caging your unsteady toddler in a play pen or a crib all day thus allowing them to learn independently but not necessarily hurting their head while doing so. The ideal solution for active babies just learning to walk ! 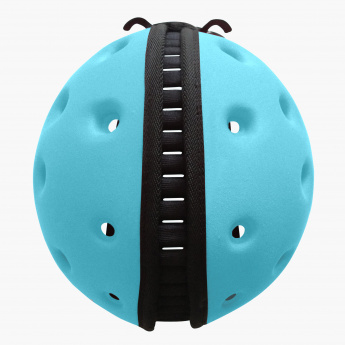 Feature 1 : This well planned design of SafeheadBABY ensures increased ventilation to keep your infant's head well protected yet cool and comfortable thereby reducing the chances of your baby wanting to remove it. The ideal solution for active babies in and around the home. Feature 2 : SafeheadBABY can be used maybe once or twice a day for a short time usually when most active and possibly distracted with a favorite toy.